Republican Josh Hawley will become a member for five committees when he becomes a U.S. Senator next month, including the one that confirms Supreme Court nominees. Hawley, who clerked for Supreme Court Chief Justice John Roberts in 2007 and 2008, will join the Senate Judiciary Committee. He was a vocal supporter earlier this year of controversial high bench nominee Brett Kavanaugh, who was accused by three women of sexual misconduct. Hawley harshly criticized incumbent Democratic Missouri Senator Claire McCaskill, who he defeated in November’s election, for opposing Kavanaugh. He also accused Senate Democrats of trying to smear the now confirmed justice who was nominated by President Trump. The outgoing first-term state Attorney General will also have a role in the oversight of the Justice Department as well as the Federal Bureau of Investigation and the Department of Homeland Security as a member of the Judiciary Committee. 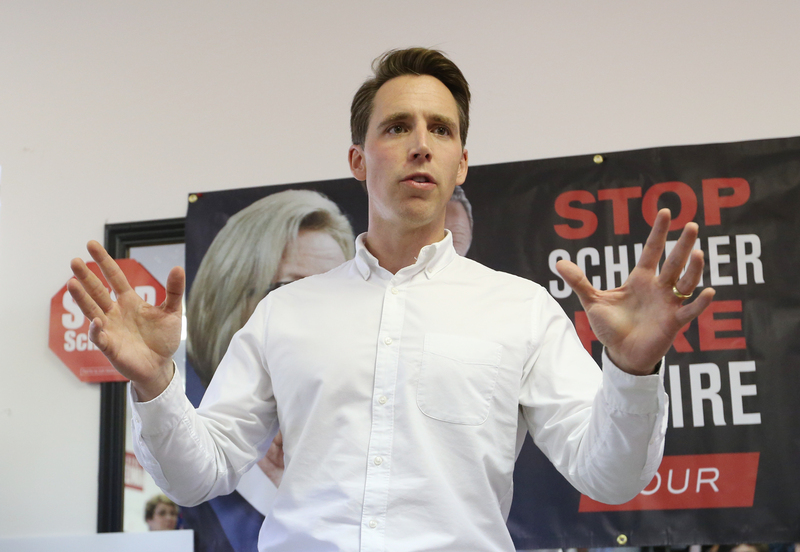 In addition, Hawley will sit on the Armed Services and Homeland Security and Governmental Affairs committees. Armed Services has jurisdiction over the Defense Department, including oversight of the Army, Navy and Air Force. The Committee on Homeland Security and Governmental Affairs has chief oversight of the U.S. Senate as well as functions of the government and handles issues such as domestic terrorism. Hawley will also serve of the panel for Small Business and Entrepreneurship and the Committee on Aging when he’s sworn into office on January 3rd.